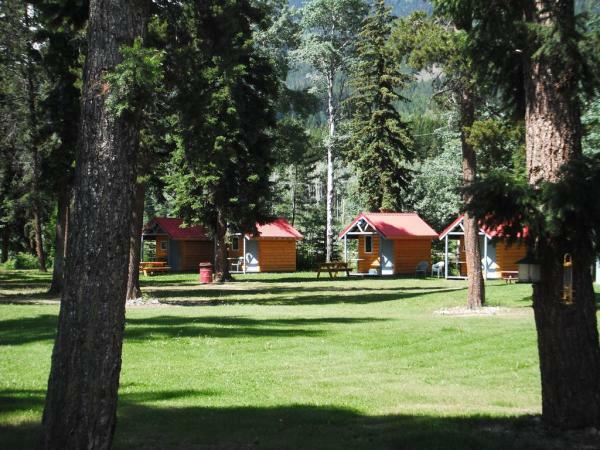 We have 4 smaller cabins that are located in the upper campground. These cabins are equipped with electric heaters, a mini fridge and either 1 set of bunk beds that are queen size or 1 queen bed. There is a firepit and a picnic table located outside of each cabin. They are priced at $45.00/night plus applicable taxes for the 2019 season. 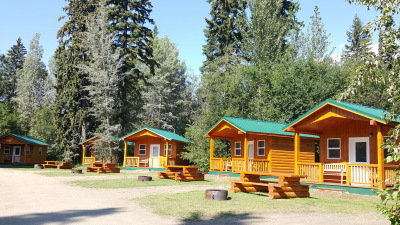 We also have 7 larger cabins that are located in the lower campground. These cabins are equipped with electric baseboard heaters, a mini-fridge, a microwave, and a table and chairs. If any amount of time is spent inside, these cabins are considerably more comfortable than the smaller cabins. 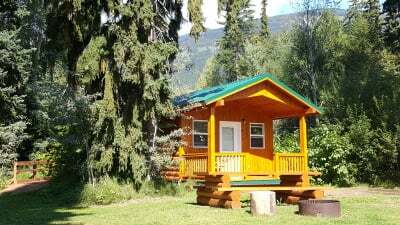 Larger cabins are priced at $75.00 per night plus applicable taxes for the 2019 season. You must supply your own bedding. A beautiful new shower house is available for your convenience 24 hours/day. You will enjoy free hot showers with bathmats, flushing toilets and a beautifully clean environment. There is coin laundry located in the shower house, as well as a dishwashing station with hot water located outside, at the north end of the building. 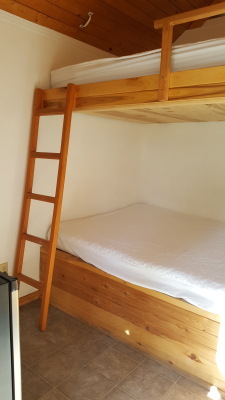 All cabin prices are based on a 2 person occupancy. There will be an additional charge of $10.00/night per guest over the age of 12. We strongly suggest that you arrive before dark.